individual profiles for up to 2 children. These profiles are customizable to your child’s level and allow you to track each child’s progress individually. As your child plays each game their progress is charted and tracked and in the Parent’s Section you can see the data for that child. They give you an “Overall Performance” score as well as graphs that break down their scores by topic and show you whether your child’s performance is improving over time. The games are easy to play and the questions have multiple choice answers. One adorable feature is the cute little hippo that pops up in the corner to let them know if they have answered correctly. If they have, then he gives them a sweet comment such as, “Well Done” or “Awesome”. If they answer incorrectly, then the correct answer appears at the bottom of the screen and shows the child why their answer was wrong. 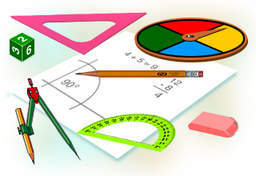 There is also a virtual “scratch pad” where kids can use their finger to write out the problem right on the screen if they can’t do the work in their heads. This is a very comprehensive app that includes almost every possible math concept your child will encounter in elementary school. I was impressed with the Parent’s Section and how well they track the performance of each child so that I can know what areas may need some extra attention. My main two complaints with this app is that first, you can only create accounts for 3 children with the app. For families like mine with more than two children in elementary school it would be better if it allowed more profiles for families with more than 3 children. And second, the price is quite expensive. Most families can't pay $99 for a single program. 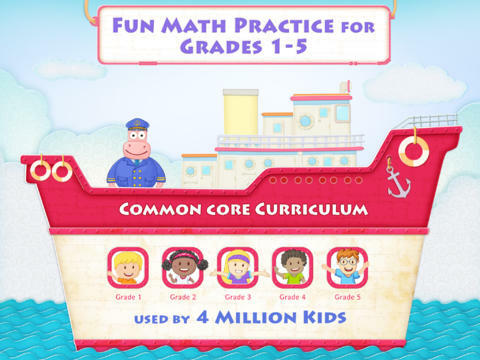 Overall Splash Math - Grades 1-5 is a great program that helps aid children and parents in learning those critical Common Core Math skills that are oh so important in elementary school. I haven't heard of these. My grandkids are preschool so probably not ready for this yet. Actually they also have a preschool Splash Math program. It is a fun way to get introduced to basic numbers and facts. My favorite program for preschoolers though is ABCMouse - my 7 yr old still loves to play it even though she is too old for the learning portion.